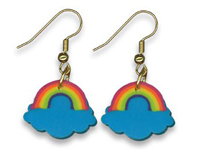 There are designers that go for the classic approach when it comes to their products, and there are those that create beautiful jewelry for a small group of people, people who appreciate things that are less conventional or things that are simply weird. The latter types of jewelers/artists are the ones we will be talking about in this article, but also about some of their cool creations that managed to become very popular. If you plan on wearing something unique why not choose an eraser ring, like the one made by E for Effort? 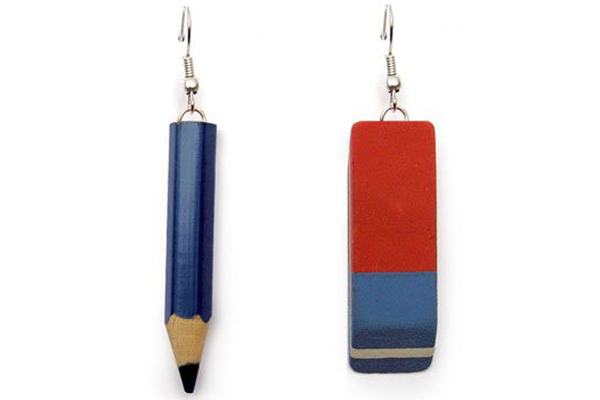 Another cool design for them comes in the shape of a pair of eraser earrings that feature a cool and unique touch for any casual outfit. Their products were featured in a lot of art magazines and fashion websites and have been extremely popular on Pinterest, so there is no wonder why everybody wants an eraser ring now. Nodeform also makes amazing jewelry that is handcrafted with care in Los Angeles. NODE comes from “no ordinary design element” and that’s very accurate when we take a look at their amazing design. Their collections include rings with unconventional designs, from floral prints to weaved or minimalistic earrings. They also have some collections that look quite futuristic and feature unique approaches to jewelry that can be only described as very sculptural. Nervous System is another team of designers that create unconventional jewelry such as textured or sculptural jewelry; they have a unique approach and create their jewelry with art and science in mind. Some of their works include the Cellular Pendant, the Radial Necklace or the Convulation Bangle Steel. Junju Lee is another artist that creates beautiful unconventional jewelry; some of the creations worth mentioning are: the iron ring or the moustache nose ring, but also the amazing ketchup dribbles brooch or the inkblot brooch, both realistically made to look like spots. Another approach to jewelry is a more agricultural one, with Hafsten Julius a designer who wanted to create something really unique and came up with the grass ring. It seems that the grass ring is perfect for a person who wants to make sure that they stay in touch with nature, while turning heads with this amazing accessory. There are many variations of his rings by a lot of artists out there and while some use artificial grass for their design, it seems that Hafsten Julius actually used grass that needs to be trimmed and taken care of regularly just like any other real grass.